Subject: Will the Fed Meeting Today Ignore This Reality? 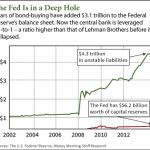 Will the Fed Meeting Today Ignore This Reality? The U.S. Federal Reserve will adjourn its two-day Fed meeting today (Wednesday) as the Fed mulls over rate hikes. What's spooked markets over a potential rate hike is the possibility that with so much global stimulus, the United States will sink into deflation should it raise rates. What's So "Open" About the Federal Open Market Committee? The Fed meeting today (Wednesday) delivered on another humdrum statement soaked in predictable Fed speak. The decision? The U.S. Federal Reserve's Federal Open Market Committee is considering rate hikes on a meeting-by-meeting basis. Something we already knew. Pre-market quotes for Monday, March 16, forecasted an 80-point gain from Friday's Dow close when the DJIA Index shed 145 points on Friday because of falling crude oil prices and investor jitters about possible interest rate increases in the near future. Today, the markets will respond to a light macro data release schedule that focuses just on February industrial production data and the Federal Reserve's report on Treasury International Capital (TIC). A light schedule is compounded by investors' anxiety over the start of this week's FOMC meeting. Here's what else pre-market quotes tell us about the stock market today - as well as your "Money Morning Tip of the Day" to make it a profitable Monday. DJIA futures were flat this morning from yesterday's Dow close. The Dow Jones Industrial Average added 92 points to close Tuesday at a new record high on news that Eurozone partners' acceptance of Greece's bailout plan and U.S. Federal Reserve Chairwoman Janet Yellen offered insight on future interest rate hikes. The minutes from last month's Federal Open Market Committee (FOMC) meeting provided zero clarity on the U.S. Federal Reserve's plans to raise interest rates in 2015. The markets need to know when the Federal Reserve might raise interest rates, or at least what economic conditions it will use to make the decision. But all we get from the Federal Reserve is waffling. And the economic targets that would trigger action get increasingly vague. Meanwhile, the Fed members make things worse by publicly voicing their uncertainty. When the Federal Open Market Committee (FOMC) of the U.S. Federal Reserve meets next week (Sept. 16-17) to consider when it should raise interest rates, it will have a huge disincentive to do so. And we're not talking about what you'll hear in the mainstream media about whether the unemployment rate is finally low enough, or whether U.S. economic growth is finally strong enough to warrant tightening monetary policy. Stock market news, Aug. 20, 2014: U.S. stocks roared again Tuesday, buoyed by strong earnings reports and a slew of positive economic data. The positive data and strong earnings reports overshadowed any concerns about ongoing geopolitical tensions in Ukraine, Israel/Gaza, and Iraq. Yesterday, the Kremlin announced that Russian President Vladimir Putin will meet with Ukrainian President Petro Poroshenko next week to discuss ways to resolve the problems plaguing Eastern Europe. Silver prices began to flounder this week coming off impressive gains in the previous month, but the U.S. Federal Reserve provided a quick spark in afternoon trading Wednesday. Markets shouldn't be too surprised when the minutes of last month's Federal Open Market Committee (FOMC) meeting are released this afternoon, unless there is some change in the U.S. Federal Reserve's tune on interest rates or tapering. Here are the only things to watch for that could have an effect on markets today. As a service to Money Morning readers, we are providing the Federal Reserve FOMC meeting schedule. 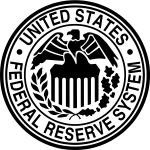 The U.S. Federal Reserve's Federal Open Market Committee (FOMC) is a 12-member board within the Federal Reserve system that meets eight times a year to set policy. In addition to the regularly scheduled meetings, the FOMC can call other meetings as needed. The minutes of a regularly scheduled FOMC meeting are released three weeks after the date of the policy decision. Don't you just love how some things are named? Like the Federal Reserve System, for instance. It's a central bank that was conceived in the private study of a private hunting lodge on a private island by a bunch of private bankers who didn't want to use the word "bank" in its name to fool taxpayers who thought it was a "system" to safeguard the public... from the very bankers who conceived it. I don't know about you, but the feeling of safety I have is just overwhelming... NOT. Then there's the Federal Open Market Committee (FOMC). That's a committee of top plotters that meets in private to discuss what's going on in "free" markets so they can figure out how to manipulate them. The Open Market Committee, or the Old Boys Club (they have a woman on the committee, but she's just a token "dove" who plays "Follow the Beard"), meets today and Wednesday to check on how their manipulations have stopped unruly free markets from sinking the banks that secretly run the Fed (you know it's not a secret, but there are a whole lot of taxpayers who don't). The Federal Open Market Committee (FOMC) meeting ended yesterday (Wednesday) with two important changes to Fed monetary policy. First, the central bank said it would increase the amount of quantitative easing by replacing Operation Twist, which ends Dec. 31, with outright purchases of long-dated Treasury bonds. 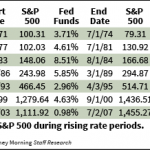 Under Operation Twist, every month the Fed sold $45 billion in short-term Treasury bonds and notes and bought $45 billion of long-term Treasury bonds in an effort to keep long-term interest rates low. Because the Fed funded its purchase of long-term bonds with the sale of short-term bonds and notes, no new money was created. However, outright purchases of long-term bonds will create new money-$45 billion every month-and, by concentrating its buying at the long end of the yield curve, the Fed should be able to keep long-term interest rates low. The Fed also said it will continue to purchase $40 billion of mortgage-backed securities each month, creating a total of $85 billion in new money from these operations monthly. That means QE4 is here. Starting in January, the Fed will be more than doubling the amount of money it is pumping into the economy. Happy New Year! Second, the Fed set unemployment and inflation "thresholds," instead of setting a date for when the central bank expects to be able to raise interest rates. What this means is that the Fed will not raise interest rates unless unemployment is 6.5% or less or inflation is more than 2.5%. By setting thresholds where monetary policy might change, the Fed is attempting to improve its communications with the public.